Like any enthusiast I try to keep my eyes open for things related to that which interests me. To go only by ones own instincts can yield great things, but it’s a hazardous path. Stately Sandwiches is something that made the rounds a while back. 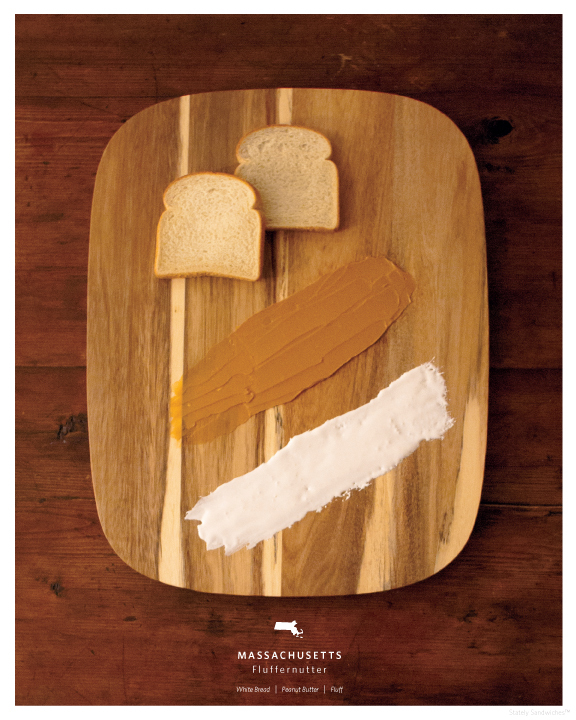 It’s a series of photographs like the above, sandwich ingredients laid out in a things-organized-neatly scheme and photographed. The site features additional snapshots of people making and eating the sandwiches, but the formal product is what you see above. “Someone is taking photographs of a different sandwich for all 50 states,” an associate told me. I wanted to love it, I really did, but ultimately such sterile, detached displays simply fail to call forth the hunger and heart-song that set upon any enthusiast that sees a photo of a fine sandwich. This entry was posted in General Sandwich Discussion by Pete. Bookmark the permalink.